My first pair of running shoes were Newton which are aimed at fore foot running. I didn't have a clue what that was back then, but I'm pleased that I was recommended these shoes because my running started without a mega spongey heel stomping pair of main stream "trainers". Over the years I've ran in shoes between 0 and 3mm of heel drop and learned to run naturally. VIVOBAREFOOT take it to the next level, these are zero drop shoes, with thin soles allowing you to run as close to barefoot as possible. Some would say "clown shoes"
but it's the comfort and healthy fit that matters. Sod fashion running. When you first see a pair of VIVOBAREFOOT shoes, they look weird, they are an unusual shape, but that's the shape of your foot! all shoes should look this way. For a running shoe, these are incredibly subtle, no garish colours, no daft "features" like rubber clouds on the sole (sorry ON) but, they aren't plain and boring, they are really nicely styled. I have been wearing them all the time, not just for working out. I'm pretty much barefoot or VIVOBAREFOOT at the moment. They certainly live up to the Stealth name. Weighing in at 236 grammes, they are comparable to my other running shoes, light, but surprisingly not as lightweight as I expected. 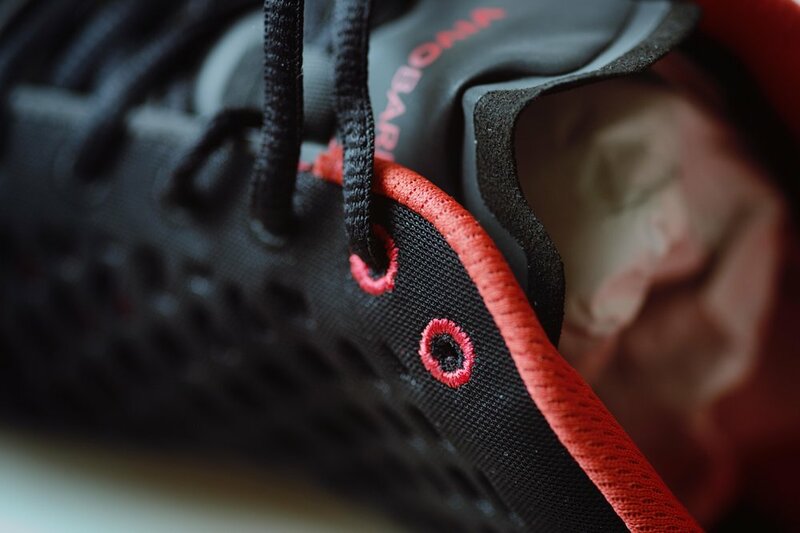 The Stealth are a very breathable shoe, The vast majority of the upper is a hexagonal mesh with ~5mm AF open cells. The soft mesh inner is super nice to the touch and very breathable. If you have experienced fivefingers, these feel very similar, and by feel, I mean how you can "feel" the surface you are running on. Go back to standard running shoes and they feel numb. This feel is great for your running, it helps your brain control all the small muscles that correctly position and support your foot, making you feet stronger. This is not to be taken lightly though, these shoes are not for people coming straight from over cushioned main stream running shoes, it takes time and training to strengthen your feet, but its worth it. I've seen online that people have had issues with the durability of these shoes, I'm hoping that VIVOBAREFOOT live up to their claims of durability. The Stealth II look tremendous, simple black and red with a subtle logo on the side. These are everyday shoes that look good whatever you are wearing. One thing that wasn't immediately obvious is the highly reflective material on the heel and toe, a welcome edition for us early winter morning runners. I really can't get over the feel you get from these shoes, maybe the Stealth name comes from the fact that you can't feel them on your feet. There are no pinch points, nothing feels tight because they are the same shape as your feet! it seems so obvious really. Feel is superb, you feel the surface you are running on, which really helps to tune your running form. I have found that I slap my right foot, its something I hadn't noticed before, but I also do it while walking. So far, so good, I love the way they feel and I'm looking forward to a lot of running. At the time of this review, I have only ran ~20km in these shoes, but I pretty much have worn them as a general shoe every time I have left the house. Love them. Have you ever watched a marshal artist walk? Taekwondo, Judo, MMA, etc, you will notice they have a very distinctive walking style, very precise, very focused. 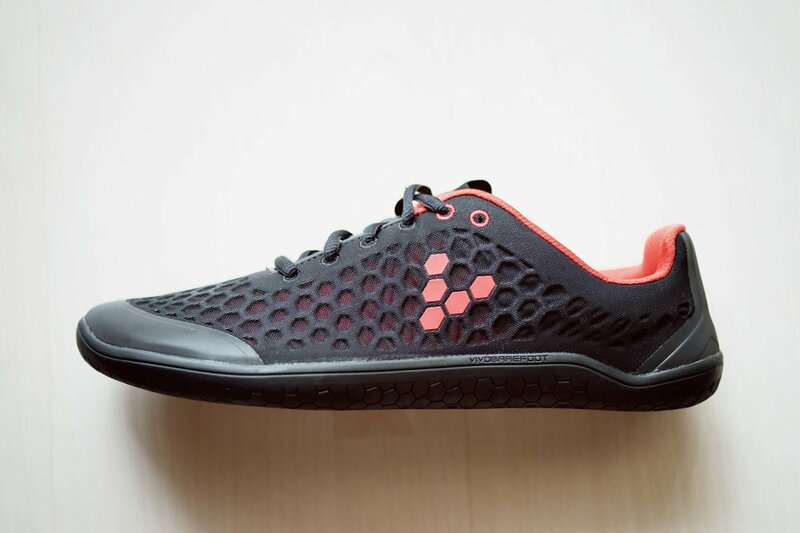 It's because they have very strong feet and excellent control, this is important to runners too and VIVOBAREFOOT shoes really help in that strengthening and increasing the proprioception that we lack from wearing numbing convensional shoes. 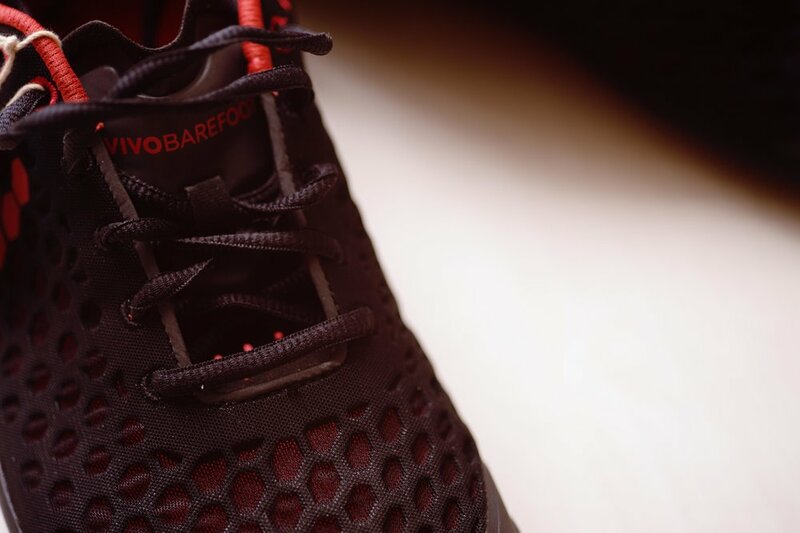 VIVOBAREFOOT are available from most of the usual online retailers, but personally, I think you are better off cutting out the middle man and going straight to VIVOBAREFOOT With purchases from the site you can earn Tribe Points, which go towards future discounts.